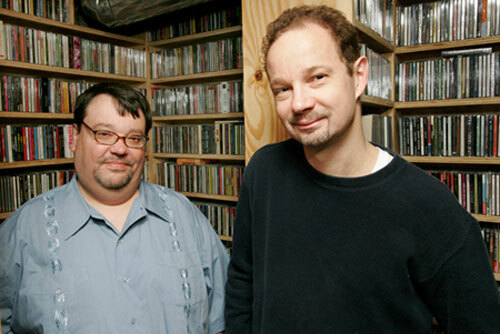 While the whole show really is a labor of love, if Greg Kot and I were forced to choose our two favorite segments on Sound Opinions, those probably would be the periodic stocking of the Desert Island Jukebox (talking about records we can’t live without) and the occasional “Buried Treasures” show (highlighting recordings that we consider underappreciated gems). At 8 p.m. on Wednesday, Feb. 19, my radio partner and I essentially will combine both of those passions in a presentation we’re calling “Twenty Albums You Haven’t Heard That You Really Need to Know About.” Think of it as a very Sound Opinions counterpoint or sidebar to those ubiquitous “Greatest Albums in the History of Rock” lists heralded by hoary institutions like Rolling Stone, Vh1, and the Rock and Roll Hall of Fame and Museum. No spoiler alerts here, sorry, but trust us: The albums we’ll be talking about (masterpieces one and all!) never have made any of those all-too-predictable lists, though they are very well deserving indeed. Tickets are available here. And if that topic doesn’t tickle your fancy, Kot and I will be doing another, more studious seminar called “Everything You Need to Know About the Music Industry in 2014” starting at 11 a.m. on Saturday, April 14. The goal: to give young musicians and their support teams a running head start on using the tools they’ll need to make themselves heard in a rapidly changing and ever evolving music industry. More info on that can be found here.